Dr Christian Ngozi Okolo hails from Ibagwa-Aka town in Igboeze South LGA of Enugu State of Nigeria. He had his primary and secondary school education at Uruagu Central School and Nnewi High School respectively. He also attended College of Arts & Science, Oko before going to University of Nigeria Nsukka were he obtained his medical degree in Medicine & Surgery. 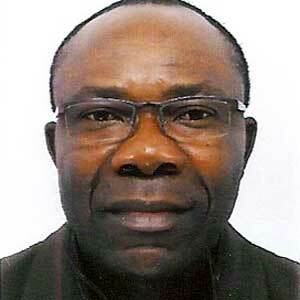 Dr Okolo participated actively in the social and political activities during his student life e.g. represented College of Arts & Science at the London International Youth Science Fortnight in London in 1981, Welfare Officer of University of Nigeria Medical Student Association, Director of Publication, Nigerian Medical Students Association (NIMSA), represented NIMSA at International Federation of Medical Students Association (IFMSA) conferences in Krems, Austria (1985) and Belgrade, Yugoslavia (1986). Dr Okolo had his NYSC year at Bajoga, Gombe State and worked in Bajoga/Ashaka for nine (9) years before moving to The Netherlands and United Kingdom were he bagged postgraduate degrees in Public Health (MPH), Health Promotion (M.Sc. ), MBA and other professional certificates. Dr Okolo worked in various National Health Service (NHS) Trusts in the United Kingdom for ten (10) years before returning to Nigeria to take up lecturer position at University of Nigeria Nsukka. Dr Okolo is happily married with three children.